in my school uniform, which isn’t ideal. My uniform is the colour of bull’s blood. because I love history, have I told you that? It is mine so I carry it in my rucksack. themselves for Ireland, for me, like rebel Jesuses. poke around in its wounds. pressed flat in the pages of my books. I do, I kiss all those boys goodbye. 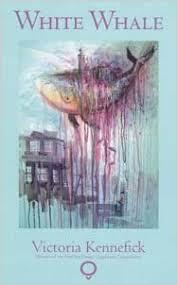 Victoria Kennefick‘s pamphlet, White Whale (Southword Editions, 2015), won the Munster Literature Centre Fool for Poetry Chapbook Competition and the Saboteur Award for Best Poetry Pamphlet. Her work has appeared in POETRY, Poetry News, Poetry Ireland Review, Prelude, The Stinging Fly, The Irish Times, and elsewhere. She was recently awarded a Next Generation Artist Bursary from the Arts Council of Ireland. You can follow her on Twitter @VKennefick.